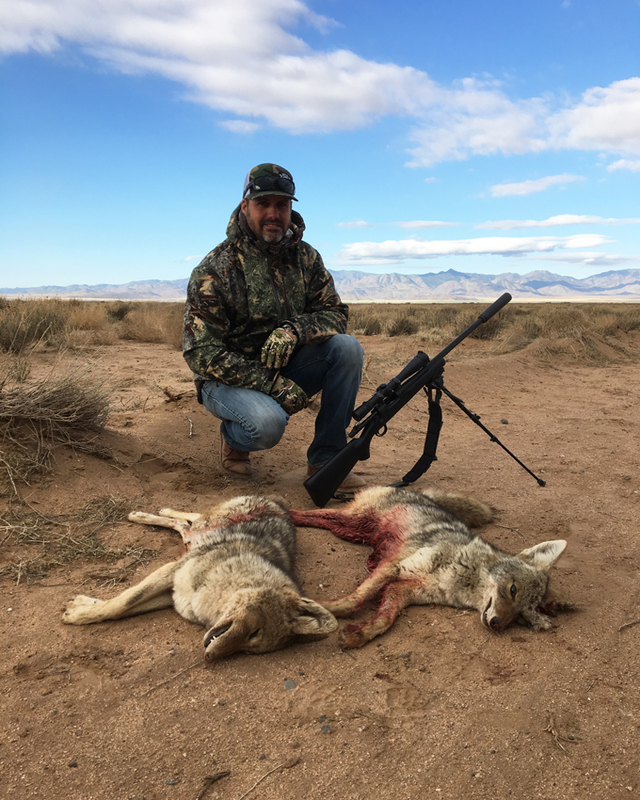 Despite 20-3o mile per hour winds on the first day of their 2 day guided predator hunt, Kyle & Jimmy managed to take 8 coyotes! It wasn’t the most ideal conditions, in fact we definitely exceeded our expectations for the day. After day 1 ended the looming storm front pushed over & laid down some snow in the higher country. The coyotes were very active after the storm front as we called in another 11 coyotes, which totaled 22 coyotes called in total over the course of their 2 day coyote hunt. 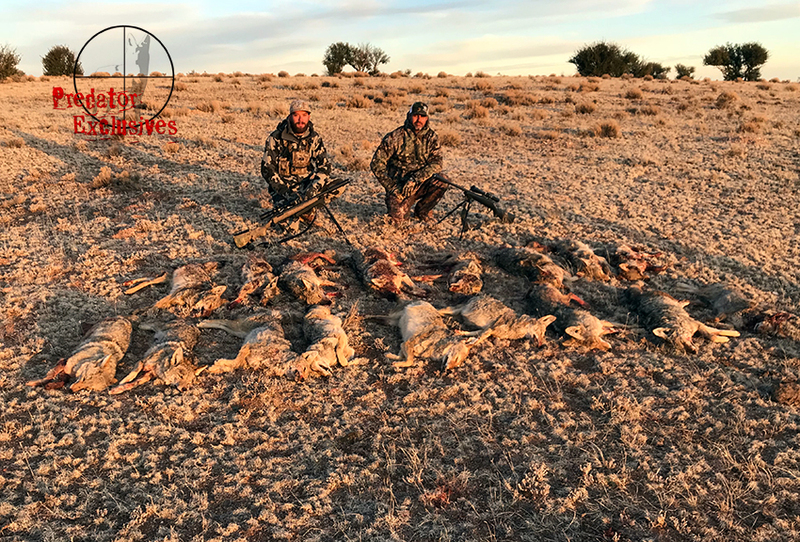 Kyle & Jimmy took 17 coyotes during the course of their 2 day hunt. Coyote calling can still be super productive in March & even into April. 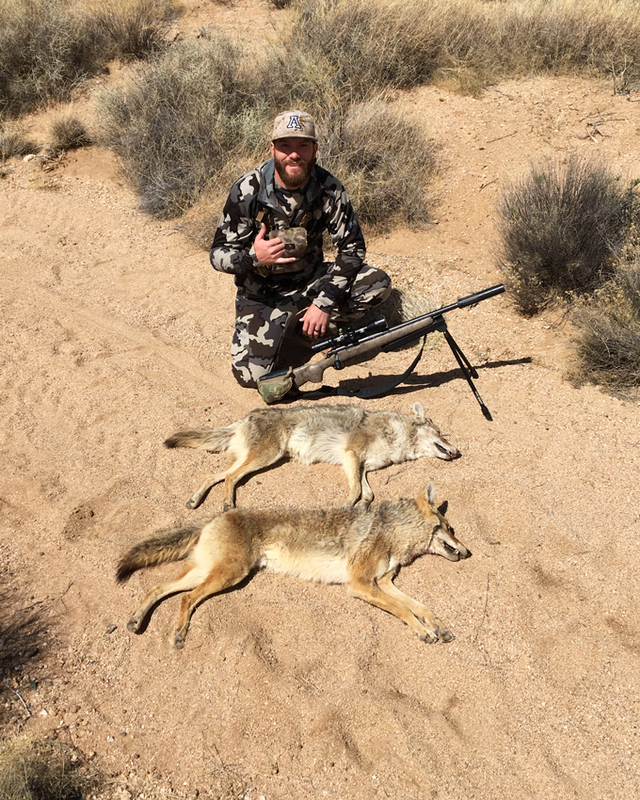 Kyle & Jimmy have hunted a total over 4 days over the past 2 season with us during mid-late March & they have taken 27 coyotes! 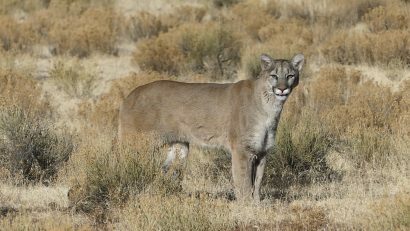 Check out some unreal footage of a mountain lion coming to our calls & decoy from this past season! Nothing quite like a Mountain Lion coming in hard to the call! 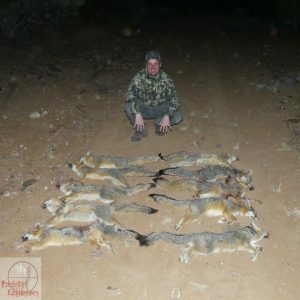 Evan booked a 2 day guided predator hunt with the intent of hunting gray fox & bobcat. The day before his guided predator hunting trip his flight was cancelled due to extreme weather conditions near his hometown. We discussed his options & he decided to drive to another airport & head out to Arizona, even though he was only going to get to hunt for a day & a half. 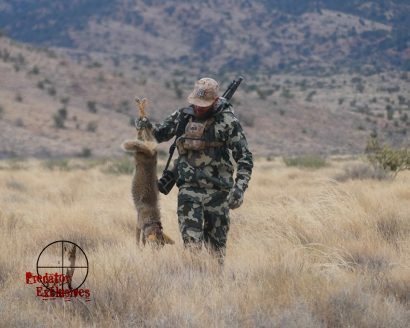 The first afternoon of his predator hunt was super windy & we only called in 1 gray fox. 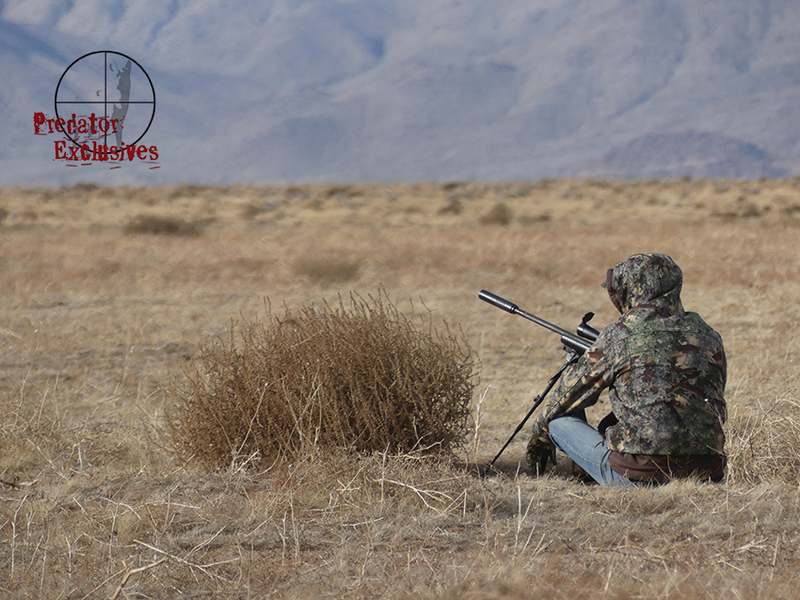 The second day we chose to hunt another area based on the mirco wind model predictions & it PAID off big time. 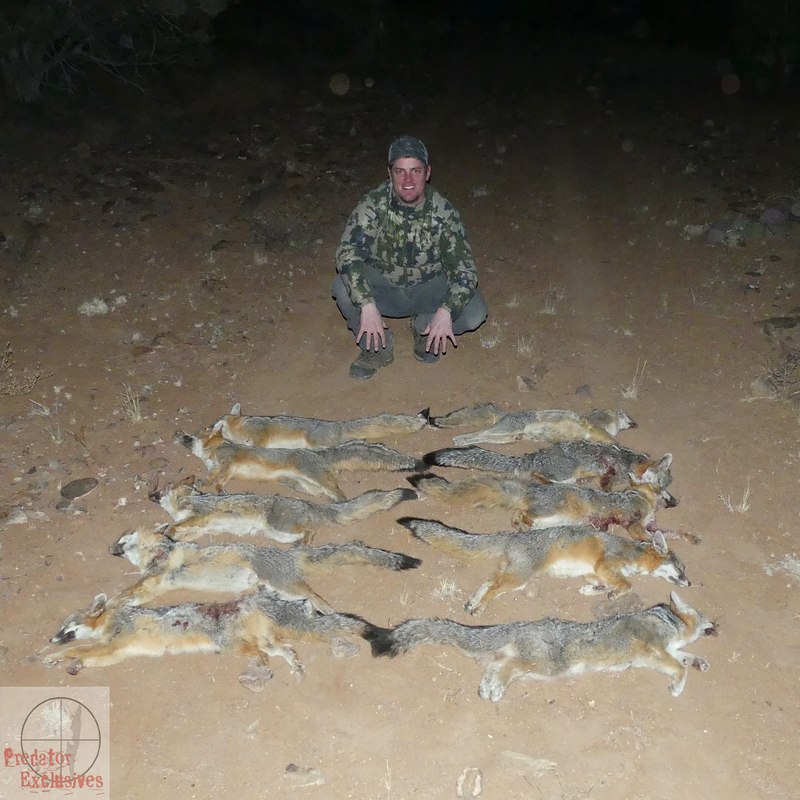 Evan broke our single day gray fox record & was super pumped he pushed forward to come out & hunt with us!